You won't get very far in the world of conservation today without hearing about how we're now in the Anthropocene: the epoch recognizing humanity as a geologic force with its fingerprint everywhere. For some, like The Nature Conservancy's Peter Kareiva, this represents a chance to rethink how to do conservation, focusing less on preserving an impossible wilderness apart from society and instead focusing on the valuation of ecosystem services. Others, like conservation biologist Michael Soulé, worry that we are forgetting to value nature for its own sake. There's been a rather unproductive back and forth focused on exactly this point since at least after Costanza et al. 1997, when Toman wrote that Costanza et al. 's calculation of the world's ecosystem services at about $33 trillion was "a serious underestimate of infinity." "And it goes on and on..." is how Paul Voosen reflected on yet another partisan weighing in. There seem to be few moderates, but I think both sides have something wrong and right. Below is an essay on the debate I originally wrote for Bill Cronon's American Environmental History seminar at the University of Wisconsin-Madison in the fall of 2013 [contact me for the full version with citations]. In many ways, today's debate reflects those between conservationists and preservationists in the US over the course of the 20th century. A version of the paper was also recently presented at the Center for Culture, History, and Environment graduate student symposium. Any thoughts are greatly appreciated! There’s a growing struggle within the ranks of conservationists, one that will have profound implications for how we deal with some of today’s most pressing environmental issues. At the heart of the matter is a choice about what constitutes conservation’s guiding question: is it about the role humans play in nature, or is it what role nature plays for humans? I’ve found myself stuck in the middle of the ensuing debate, wondering what to make of it and how to move it forward. I first found myself in this conversation a couple of hot and sticky Junes ago at a conference called Ecosystem Services Markets: Making them Work. Ecosystem Services is a bit of jargon no one likes but everyone has gotten the hang of for naming what nature does for society: mitigate floods, provide clean water, and so on. The conference brought together nonprofit conservationists, federal agency staff, and VPs from corporations like Pepsi, Disney and Dow to figure out how to re-purpose corporate accounting ledgers to get conservation more money for saving mangroves and restoring prairies. I took in everything I could - I more or less transcribed every session I went to - all the while meditating on the irony of a group of nature-lovers sitting in air-conditioned luxury all day. Rest assured, there was a field trip, though you might call it a pilgrimage really. 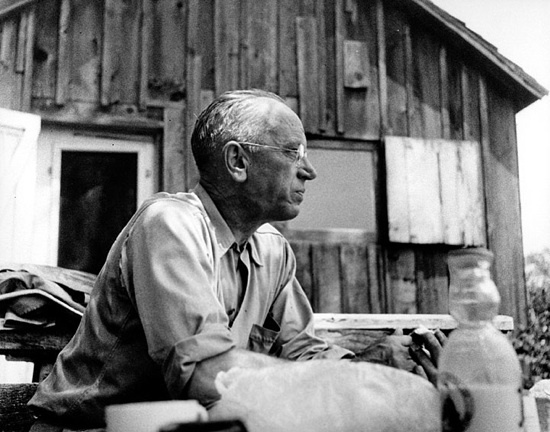 It was out to the chicken-coop-turned-weekend-get-a-way where Aldo Leopold sojourned every weekend from Madison to restore of bit of prairie habitat on a degraded piece of farm ground. It was here that Leopold first tested the principles of restoration ecology as an art and science, and it’s become a sort of sacred ground for conservationists. Just up the road from the shack, we had stopped to observe a “constructed wetland” that a local conservation group had recently paid to put in. Their goal was to generate credits that would allow them to sell the ecological benefits of the wetland to interested buyers, in an ecosystem service market. The wetland was designed to take in excess runoff from a stream and filter out nutrients and chemicals before they made it too far down the way to the Gulf of Mexico. Glad to finally be outside, I was disappointed by it. It hadn’t filled up yet because of the unusually dry summer and so no wetland plants had yet colonize it. We stared at caked earth while we learned about the project. What made the disappointment sting was that this wetland was supposed to illustrate the benefits of everything we had been talking about all week: the ability of market incentives to generate investment in improving habitats. As a huge poster in the conference hotel lobby proudly proclaimed, the goal had been to “price the priceless.” Yet, in what was one of the two core tenets of his land ethic, Leopold himself had remarked, “We abuse land because we regard it as a commodity belonging to us. When we see land as a community to which we belong, we may begin to use it with love and respect.” For conference-goers, treating land as a commodity had become, in fact, the very means of treating it with love and respect. The conservationists gathered in Madison held two ideas together at once: at Leopold’s shack, we celebrated his respect for the power of nature as something to which we belong, yet still apart from us. At the wetland just up the road, nature mattered only to the extent that it became a priced service. How do we understand these two, seemingly bipolar perspectives, and what do we do with them? Leopold’s call for us to belong to land as part of a community is appealing, while I remain uncertain about the prospect of commodifying nature. Environmental history is useful here, as it tells us how different perspectives on the ambit of conservation have evolved over time, and by paying close attention to untold and other sides of stories to see how conflicted conservation has been at times. People often see conservationists in stark terms, as “tree huggers” unwilling to cede ground to humans on any account. An environmental history approach can show conservationists have always been more complicated than that, and suggest a way out of the dilemma. In part that’s because environmental historians have also been active and influential participants in the conservation conversation. The traditional reading of environmental politics in the US, as told by historians like Roderick Nash and Samuel Hays, starts at the battle of Hetch Hetchy. In the early 20th century, a national conflagration erupted over whether San Francisco should dam the valley in Yosemite National Park in order to provide the city with a long-term drinking water supply. Lines in the sand were drawn. On one side stood those who saw themselves as balancing the protection and enjoyment of nature with unavoidable future growth. Among such “conservationists” were Forest Service Chief Gifford Pinchot. On the other side stood preservationists like John Muir, who declared in no simple terms that the place was sacred – a temple - since it was free of the artifacts of civilization. The preservationists lost the day, but their organizing efforts established an important base for later campaigns. Though the typical reading draws a straight line from Hetch Hetchy to the landmark Wilderness Act of 1964, others have rightfully complicated that story. The anti-dam base did grow into a concerted movement for wilderness protection, one led by the Wilderness Society that organized over decades to establish set asides for nature. But this was not, in fact, a repeat of Hetch Hetchy. As historian Paul Sutter has pointed out, the concern of the Wilderness Society was directed at increased tourism and recreation in new nature reserves rather than attempts to use such places for production. Nor was their view of wilderness founded in a sense that in these places one could find the sublime. The Wilderness Society played a pivotal role in the passing of the Wilderness Act, which established legislative procedure for reserving permanently areas “untrammeled by man”. It’s worth taking a second to pause and consider the definition of that word, because it’s regularly used by critics of wilderness who see its advocates blindly chasing an illusory pristine nature removed from the human footprint. Indeed, it sounds an awful lot like “walked upon.” The Oxford dictionary, on the other hand, defines it as: “not deprived of freedom of action or expression; not restricted or hampered.” For advocates, wilderness represented nature able to grow to its own ends, rather than spaces where nature was not tread upon by mankind. The distinction is subtle but important, and we only have to look at the case of ecological restoration to see why. 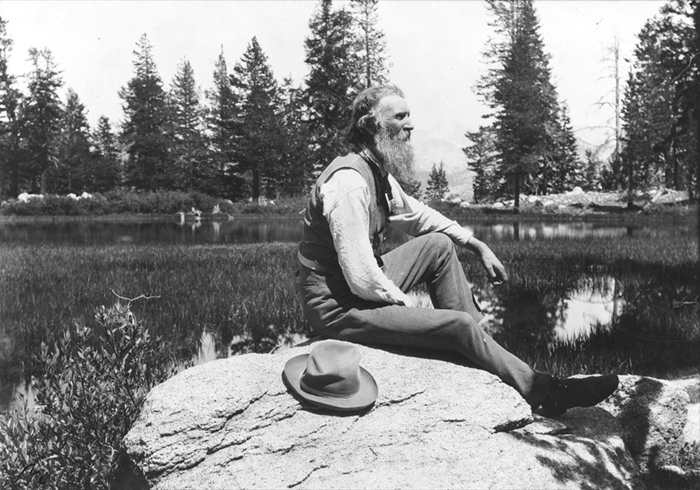 Leopold was a founding member of the Wilderness Society, and indeed, for him, wilderness was in large part a framework for learning from nature. On the prairie at his shack and at the University of Wisconsin’s arboretum, he was also one of the first to champion the cause of restoring ecosystems. Seeding the prairie and aiding it in its growth and functioning was undoubtedly an intervention in nature, yet it was one meant to give the big bluestem, compass plant, and associated fauna a freedom of expression. Restoration ecology, as a coherent unit of academic study and as a field of practice did not coalesce until the 1980s - well after Leopold’s time - and is still only gaining traction. Now and then, restorationists have split between a desire to get back to nature as it looked before settlement and restoration as means for “inventing” novel landscapes. While Wisconsin’s William Jordan was busy assembling restoration ecology as we know it today, UC-Santa Cruz’s Michael Soulé set out to establish a related field, conservation biology. Blending scientific rigor and eco-advocacy, a coalition of academic researchers like Soulé and activists like EarthFirst!’s Dave Foreman lobbied for large wilderness areas to be established not as a way to preserve a sacred sublime, but to preserve biodiversity. Eschewing EarthFirst!’s strategy of highly visible political action, Foreman joined with Soulé to start the Wildlands Project, which they saw as a group that would more aggressively and directly campaign at a variety of levels of government for more and larger wilderness designations than the Wilderness Society. The resurgence of preservationism came to a head in 1995. That year, the US Supreme Court ruled that the under the Endangered Species Act, to “harm” the habitat of threatened species like the northern spotted owl was to illegally “take” it. In a way, the ruling justified the Wildlands Project’s scientific and political argument that large spaces free of economically productive activity, like forestry, were necessary to protect biodiversity. But it also goaded foresters and others adopting the banner of “Wise Use” to claim that preservation was blind to or willfully ignorant of rural people’s concerns about jobs and economic growth. The ruling was a flashpoint for tensions between preservation and conservation. The same year an interdisciplinary group of scholars, including environmental historians, stepped into the fray with their edited volume Uncommon Ground: Rethinking the Human Place in Nature. Meant to reach a wide audience, the volume provocatively directed its line of attack at wilderness proponents. Bill Cronon, for instance, wrote that “wilderness is no more ‘natural’ than nature is - it’s a reflection of our own longings, a profoundly human creation.” The argument drove at the heart of how advocates saw the wilderness concept as legitimate, while retaining a sense that humans have a responsibility to nature, one in the form of our own making. Richard White tackled the economic growth question head on by reflecting on the Wise Use bumper sticker slogna, “Are you an environmentalist or do you work for a living?” He showed how labor was just as much a relationship to the natural world as recreation, but his point was not to cede ground to Wise Use activists who claimed that their work gave them a privileged relation to nature. Instead, he noted that they had confused their “labor” with property rights - a specifically capitalist relation to nature. White made the case for a more inclusive conservation, without turning it over to the markets. Uncommon Ground stirred a raft of critiques and counter-criticisms, but it wasn’t the only major intervention into such territory at the time. In 1997, several ecologists and economists launched another front against the kind of preservation advocated by the Wildlands Project. While the authors of Uncommon Ground deployed persuasive social theory as their tactic and many of them, like White, countered calls to see capitalism as a viable social relation to nature, monetary valuation was this group's policy Trojan Horse. The reframing of conservation’s object of concern to ecosystem services shared several arguments with Uncommon Ground: wilderness overlooks the nature that is close to home; it ignores the importance of achieving economic growth. Gretchen Daily, like Soulé a student of famous biologist Paul Ehrlich, edited 1997’s Nature’s Services. The effort was a first cut attempt to conceive of nature as composed of quantifiable and monetizable services that provide direct benefits to society, rather than existing for it’s own sake. The same year, Bob Costanza famously declared the dollar value of all of the world’s ecosystem services (ES) to be more or less $33 trillion. These admittedly rough estimates were meant to appeal to CEOs and Senators alike, and as they got better, they did. Resistance to the project has grown as well. The use of an ES framework to prove to policy-makers the value of conservation has set up a debate rather reminiscent of Hetch Hetchy. It’s Soulé who plays the part of Muir; the chief scientist for The Nature Conservancy, Peter Kareiva, plays Pinchot. This time around, the struggle is not focused on one site or one project (though there are plenty of small skirmishes), but addresses head on the larger question of whether conservation and capitalism are joined at the hips, just good friends, or perhaps anathema to each other. For Kareiva, conservation set asides simply haven’t lived up to their promise, they harm the global poor, and, adopting Cronon’s critique, wilderness lacks a solid conceptual grounding. Instead, he proclaims the Anthropocene - the recognition of humans as a geologic force in nature with its fingerprint everywhere - as conservation’s gospel. Alongside this, he offers the solution of harnessing the same capital that has historically degraded environments in order to direct investment to protecting and enhancing environments: “Instead of scolding capitalism,” he and his co-authors write, “conservationists should partner with corporations in a science-based effort to integrate the value of nature's benefits into their operations and cultures.” The ES framework has become what Kareiva calls the “new conservation,” and even “conservation science” as means to legitimize itself explicitly in contrast to conservation biology. Most human beings and many environmentalists never doubt that biological diversity and every every thing every where is meant for human consumption, exploitation or recreation. Theirs is a world of resources and hoped for wealth. It is Old Testament view. In stark contrast, the goal of conservationism is other-centric. It stresses the intrinsic (for itself) value of non-human biological beings and aims to protect earth’s five million or so kinds of surviving creatures for their own sake. Which bring us back to 2011 and the ecosystem services markets conference in Madison, where “pricing the priceless” was about determining the value of non-human biological beings for our own sake. In spite of Soulé’s impassioned argument, it’s clear that Kareiva currently has the edge, as The Nature Conservancy and other leading international conservation non profits work the world over with companies like Dow to value ecosystems and the services they provide. I am not, however, telling the story of the final triumph of the Anthropocene after its flag-bearers have vanquished the forces of preservation. We have to see history as the art of people muddling through, and to document it, making things seem as messy as they truly are and as they truly were, rather than retreating to the conceit that the story has one final outcome, writing off the contradictions. As we’ve seen here, conservation is complicated; so too are conservationists. Today, even Kareiva’s project and the ecosystem services framework are not one in the same: he and his colleagues, for instance, critique the main international ES project to date, the Millenium Ecosystem Assessment. The ecologists working in ES still cherish many of the landscape ecology principles conservation biologists promoted. Historically, there’s been important rifts in the conservation community when it comes to knowing what nature is and what’s important about it: between wilderness as the sublime and nature as a source of use values to be conserved for future generations; wilderness as a temple, wilderness as enjoyment, and wilderness as a lab; between restoration and preservation; species biodiversity and recreation; human and eco-centric impulses. These valences have split not only figureheads like Pinchot and Muir, Kareiva and Soulé, but are often simultaneously embodied in a single person, perhaps an average conference attendee rather than a prominent advocate. Conservationists today muddle through conflicting mandates and mixed messages. It’s no surprise we see them at once praising Leopold for how he wanted to create a new, non-commodified relation with nature on its own terms, while at the same time seeking to “price the priceless” and make ecosystem services markets work. We should embrace these contradictions rather than walk away from them. The general thrust of the Anthropocene project is noble: to take responsibility for natures we as a society have made. Its proponents rightfully build off of critiques of wilderness as exclusionary and illusory. But as a way of guiding our actions today, the Anthropocene is not without its own flaws. When plugged into arguments for capitalizing ecosystem services, it raises a number of red-flags, also about exclusion and who stands to benefit. What’s needed is a common ground: a perspective that envisions nature as “untrammeled,” but everywhere rather than reserved far away, and not subject to the whims of market forces to secure its value. The standoff between conservation biology and conservation science doesn’t have to be just a repeat of conservation vs. preservation, of nature for human values vs. nature for nature’s sake. I have a hunch of where to find such space. It would be a way of talking about and doing conservation that holds in tension the project of recognizing the world is more-than-us with the realization that today’s human interventions in nature are unparalleled to anything in history. What’s needed is a posthuman Anthropocene.